There is something that’s been baffling me for a while now. When I start out on my run, my fat bits jiggle. Especially the two lumps above my bum cheeks, just under my lower back. After a couple of minutes I forget about it. At some point later into the run I invariably become body (or rather fat) aware again. I put my hands on my hips and my ‘bread rolls’ seem smoother and less like actual hot dog buns resting there. This reminds me of my other fat store, the aforementioned bum jiggling. Its not jiggling anymore, in fact its quite firm. So what the dickens is that all about then? Does the fat melt like butter and distribute itself elsewhere, only to reform later and solidify once again? I tried to catch it out once. I felt up other parts of my body and down my legs to see if it had spread itself somewhere else. A man going past in his car slowed down and asked me if I was alright. ‘Yes, fine thanks! Just looking for my fat.’ I didn’t say. I tried another scientific approach to get some answers. I googled it. Nothing. Nobody knows! How can there be a whole scientific community out there dedicated to studying how our bodies work in sport and yet there’s not one reference to it on the internet? Or am I the only person this happens to? Or the only one that’s noticed it? I’m going to sit back now and wait for some eminent medical sports boff to contact me to discuss this phenomenon. I just checked my hips for those hot dog buns. They’re back. 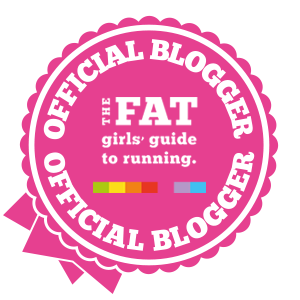 Are you an overweight runner? Does this happen to you to?! Do you know where the fat goes?